Semiconductor Engineering - What Markets And Winners Will IoT Produce? Semiconductor Engineering - What Markets And Winners Will IoT Produce? Home > IoT, Security & Automotive > What Markets And Winners Will IoT Produce? That may depend upon how you define the IoT. IoT is trending. However, a consistent definition of IoT can be tough to find in the deluge of marketing, which often overlooks the fact that Internet-connected devices have been around for decades. Many established tech companies have developed and deployed a wide variety of products, both building out the IoT and beginning to define it. 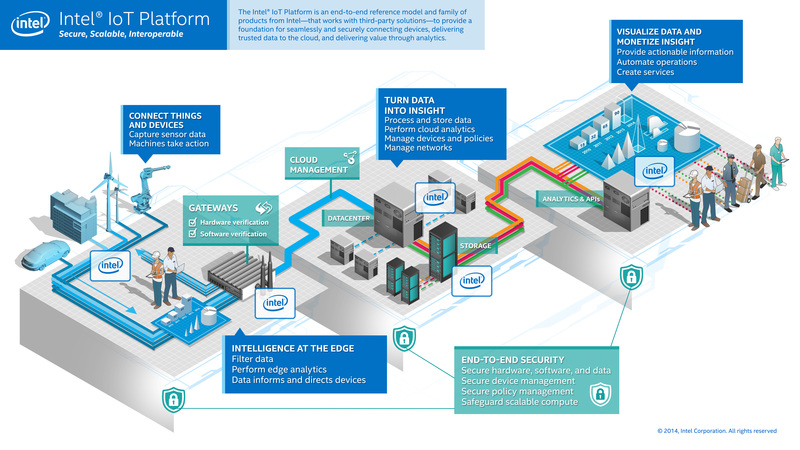 Intel in particular has published a slew of excellent videos and infographics. And several well-established examples just a Google query away, such as the impact on fleet management, help paint a picture of what IoT means in certain “old school” industries. • The Guardian: “The Internet of Things connects objects to networks and exploits the data that is generated”. For now a very good if exhaustive perspective can be found in IEEE’s May 2015 paper, “Toward a definition of the Internet of Things (IoT),” which stretches more than 80 pages. This novella length stems from the fact that the IoT cuts across everything from system and software architecture to new business models and social impacts, as the IEEE paper points out. Given the breadth and potential impact of IoT, all the media attention is no surprise, a point made by my colleague Anne Cirkel last month. 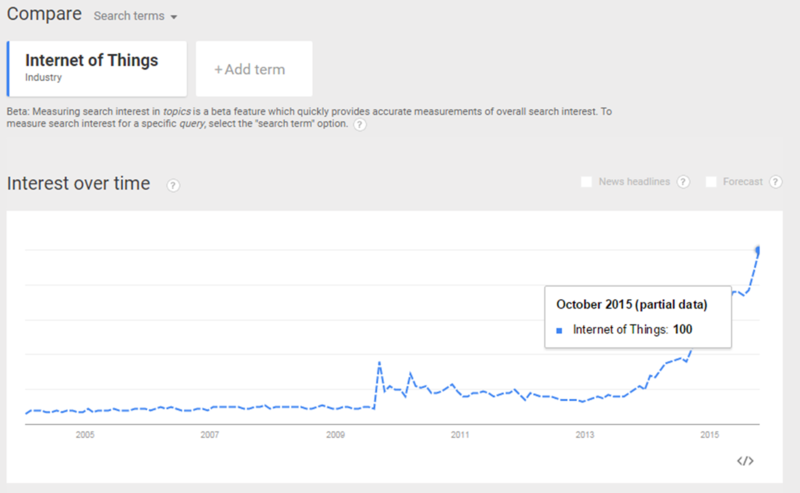 More evidence that you should care, if you don’t already, comes from Google Trends, which reveals that overall search interest in “Internet of Things” has never been stronger. One last bit of evidence of IoT buzz comes from Merlyn Brunken, who runs market research here at Mentor. 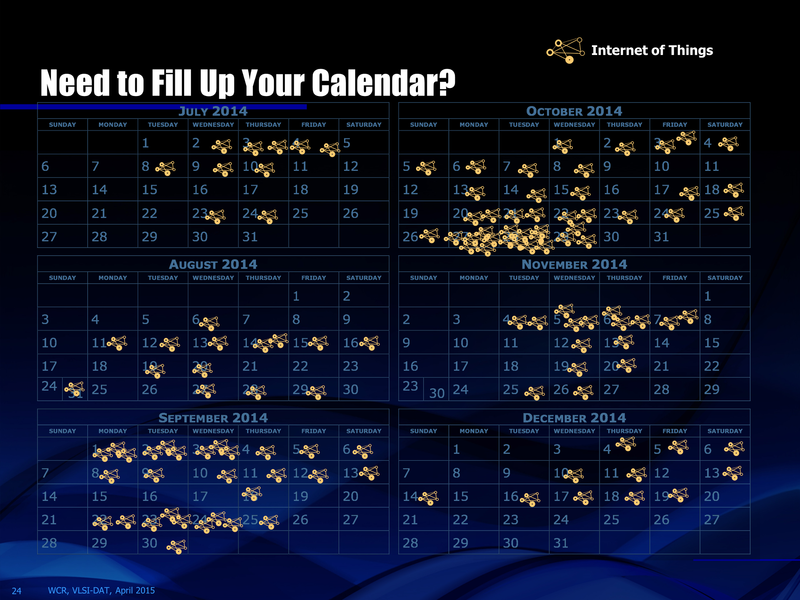 A few months back Merlyn’s staff counted up the total number of IoT-related conferences that took place in the second half of 2014 around the world. The final tally, shown below, worked out to more than one event per work day for six months. If there’s another tech topic generating anywhere near the same interest over that same period, I’m not aware of it. What is IoT’s basic architecture? A precise definition of IoT might remain elusive, though it is possible to name the basic building block components that together comprise the IoT. 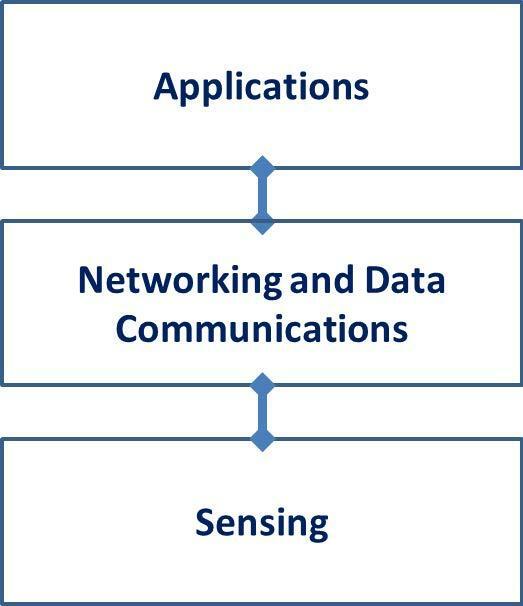 The IEEE P2413 standards project spells out a three-tier IoT architecture with the following layers: sensing, networking and data communications, and applications. Sensing: It’s not hard to find robust forecasts about sensors. An example: BCC Research says the global sensor market will reach $154.4 billion by 2020, growing at a compound annual growth rate of 10.1%. The fastest growing segments: image, flow and level sensors (11.7% CAGR); biosensors and chemical sensors (11.5% CAGR). Another example: Sales are booming for CMOS image sensors in the fastest growing market segment. They’re used in everything from digital cameras to surveillance applications to medical imaging equipment. This year unit shipments will top 3.6 billion, up from just over 50 million in 2001, according to data from Semico Research and IC Insights. Here, as is true with many devices in this tier, the big opportunity is to move to from dumb to smart sensors. This means adding complexity in both hardware and software design — something the EDA industry will help with. Networking and data communications: The proliferation of sensors and Internet-connected devices will of course generate vast amounts data. Given the volumes (see the next bullet), most storage and analysis will happen in the cloud. The eventual opportunity at the network gateway is to do at least some local processing — to trigger actuating other devices, and so on — before the data ever gets to the cloud. At the moment, however, big challenges exist in this space. The last mile is connected, now the last inch remains. Currently many gateways are application-specific in their hardware and/or software. One possible solution is the emergence of a universal gateway hardware device or standard. So-called smart gateways to connect legacy and new systems might also solve the problem, while possibly creating a new opportunity for gateway operating systems. Utilizing WiFi or cellular networks for last-inch connectivity requires significant power, obviously an opportunity for specialized battery technology. Lithium-ion and primary lithium are likely to remain the “chemistries of choice for IoT,” according to Frost & Sullivan, which declared batteries for sensors as the next big thing in a recent report. The firm says the global battery based energy storage market (which includes IoT and wearables) will reach $7 billion by 2020. Another prediction: chemistries such as metal-air, flow batteries and sodium sulphur will gain traction and lithium technology reaches its limit. Some of these predictions might need to be revised if any of the work on ultra-low power or even battery-less IoT sensors bears fruit. See for example this recent article on Bluetooth Smart or this work on WiFi backscatter developed at the University of Washington. Connectivity issues aside, many tech stalwarts see huge IoT gateway potential. This includes Amazon, which announced its Amazon Web Services (AWS) IoT platform a few weeks ago. The platform includes a device gateway and will allow connected devices to communicate with cloud applications and between themselves. It bears mentioning here that the AWS, already profitable, generates annual revenue of more than $7 billion (Mentor is a customer). That number could well exceed $20 billion by 2020, thanks in part to new IoT connectivity features, according to this recent Motley Fool article following the announcement. Consider that right now you can buy 10 TB of Google Drive storage for $99 month. Few but the most photo-happy users need that much storage. In contrast, every commercial airplane generates that much data for each 30 minutes of flight, according to Cisco. 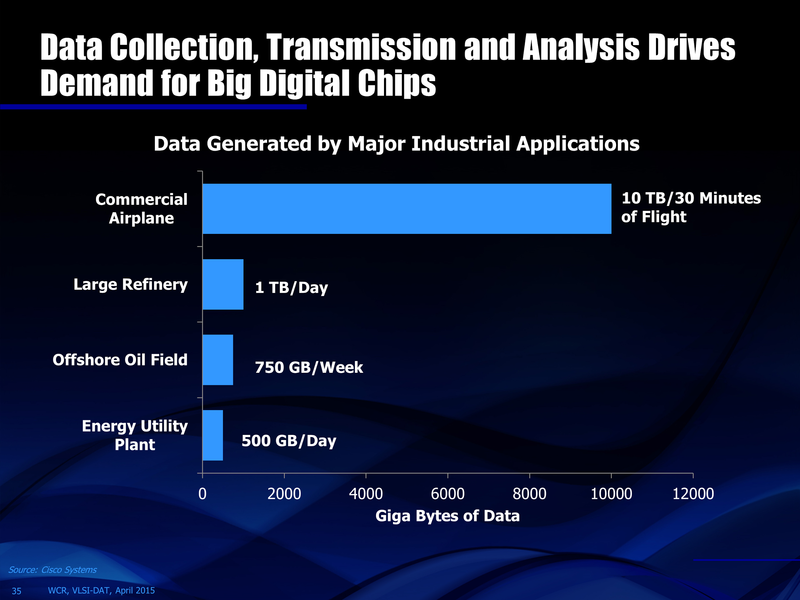 The good news for semiconductor companies (and the EDA industry that supplies it) is that analysis of all this data is going to drive lots of demand for big digital chips, a point made by Mentor CEO Wally Rhines in a speech earlier this year in Taiwan. Which isn’t to say that big questions don’t remain. Hardy was right to conclude his post with an important one: “Which group of companies are the real leaders now?” An even broader question may be which markets will benefit the most from IoT: server chips, sensors, power companies, alternative energy, battery manufactures, embedded software? Or others we do not envision at this point? Despite the massive numbers showing up in earning results and inventories of Internet-connected devices, it’s still early days for IoT, probably the most exciting (if disruptive) tech transition of my career.